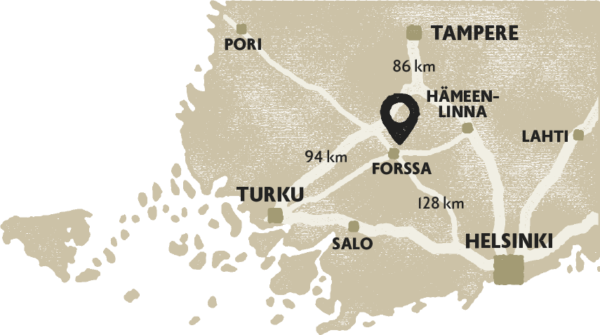 Hevossilta is located about 6 km from the centre of Forssa. From Turku and Tampere it takes about an hour to get here by car. From Hämeenlinna it takes about 0,5 h and from the capital area 1,5 hours. We have parking space for our customers. Use this contact form to send an e-mail. Usually we respond in one bussiness day.